Infiniti has just revealed the Qs Inspiration electric sport sedan concept it plans to show at Auto Shanghai next week. More importantly, in a statement viewed by Reuters, the company said the vehicle will enter production in China and hit the market in around three years. The pictures you see here are from the shooting of a commercial aimed at the Chinese market. As part of Infiniti’s restructuring plan announced a few weeks ago, the brand said it will focus on its largest markets, specifically North America and China. The latter will get a head start on electric cars because it has the most growth potential and also because automakers operating in that country have to sell more alternative-energy vehicles to comply with official production quotas designed to reduce smog. According to Reuters, it’s still not clear whether Infiniti plans to produce its first electric vehicle in other markets. However, an Infiniti spokesman said the brand currently does not intend to export the electric sedan from China. In North America, Nissan’s luxury division has publicly announced that it will put more focus on its SUV lineup which, combined with today’s report, seems to suggest that the first electric Infiniti to be sold here will not be a sedan, but rather a crossover based on the recent Qx Inspiration concept. 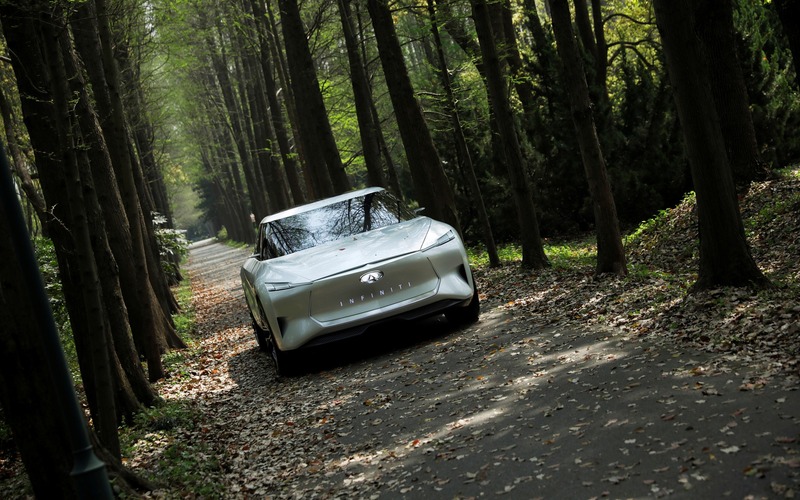 No technical details are available at this point, but design chief Karim Habib said that Infiniti’s electric vehicles will look significantly different, particularly inside where passengers will enjoy generous space and futuristic accommodations.